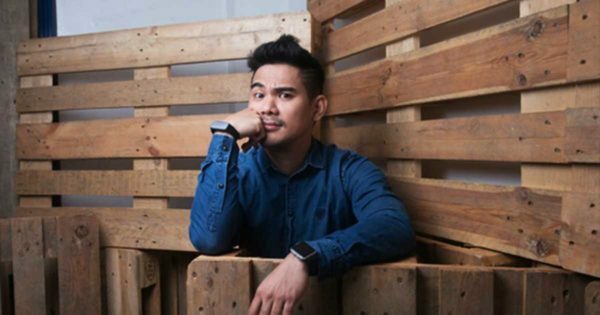 For Ideas X Machina (IXM) founder and CEO Clemente ‘Third’ Domingo, giving financial benefits to their employees isn’t enough to keep the twinkle in their eyes. Aside from financial stability, Domingo believes personal growth is the best benefit employees can receive from the management. After seeing that many people in the advertising industry don’t have love lives because they are too consumed by their work, Domingo and his team decided to give the IXM Love Life Benefits, which are “incentives to employees who will be living life outside work to the fullest”. “We already had free catered lunch benefits, birthday leaves, free life and investment fund insurance, what else can we give? How about love life? How do you start writing a poem? Not by putting pen to paper. But by falling in love first, to borrow from Shakespeare,” Domingo told FHM. The IXM Love Life Benefits, which he started implementing last year, generated unprecedented buzz on social media recently. As a result, the advertising company receives an average of 57 job applications and nearly hundred internship requests. Under Domingo’s unique management style, employees are given a P1,500 reimbursable date allowance, a break-up leave, and a P150,000 wedding reception allowance, among others. “At 45 employees with six P1,500 reimbursable date expenses, that’s only P405,000 annually.I’d rather spend that than have 45 employees who don’t have a twinkle in their eyes,” Domingo explained. But in order to avail of the P1,500 reimbursable date allowance, employees need to present photos and receipts of the date to the HR. Moreover, the breakup leave benefit is good for a maximum of only two times a year. Although the P150,000 wedding reception allowance is still subject for further analysis, one has employee has already availed of this benefit. “Give them less reason to underperform, which is Love Life Benefits, then you can demand more,” Domingo said.